Ilhan Omar is in trouble. The Freshman Congresswoman is now battling calls for a primary challenger to take her on in 2020. And now, these terrorist group ties are on the verge of shattering her political career. Ilhan Omar is perhaps the most embattled member of Congress today. And despite only being in office for about two and a half months, Omar has made countless enemies because of her incessant anti-Jewish and anti-Israel tweets and statements. Omar just doesn’t know when to stop either. Not only has she alleged that Jews have a “dual loyalty” that prevents them from truly being American citizens, but she’s also claimed that Israel has “hypnotized the world” and that AIPAC, the American Israel Public Affairs Committee, has bought the votes of most of Congress. Omar has jumped into so many debates and waded into so many controversies that her entire career is now drenched in mud. But she’s not done yet. Now, the truly disturbing revelations are beginning to emerge. So not only is Omar one of the most anti-Semitic members of Congress, she’s now holding and attending secret fundraisers for groups tied to terrorist movements. Of course, things could always get worse for her, particularly if the content of these speeches ever get revealed to the public. 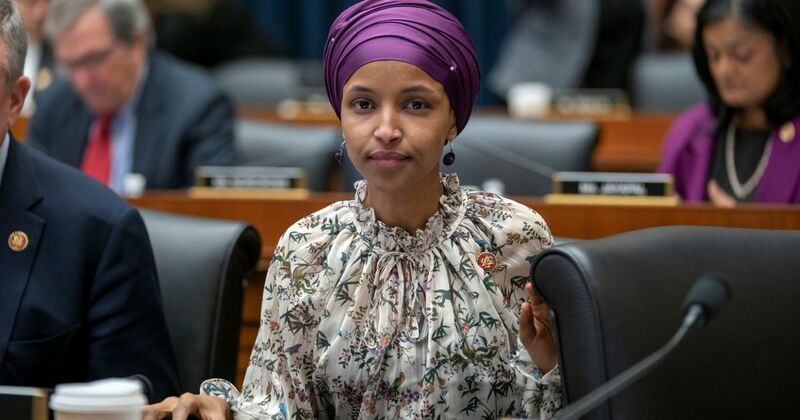 “The content of these speeches, given to predominately Muslim audiences, remains unknown, prompting some of Omar’s critics to express concern about the type of rhetoric she is using before these paying audiences, particularly in light of the lawmaker’s repeated use of anti-Semitic tropes in public,” adds the Daily Caller. Omar’s most notable group that she has spoken to is the Council on American Islamic Relations, (CAIR). CAIR is a group that was named as an unindicted co-conspirator in a massive terror-funding incident, according to the Daily Caller. Omar has had more than her fair share of troubles in the past. But this new revelation could be the straw that breaks the camel’s back. Omar is already under fire in her own district for portraying her constituents in an extremely negative light. And there’s already talk of running another candidate against her in 2020. Omar’s rhetoric is sooner or later going to bring about her political demise. She has rubbed too many people the wrong way, and now there’s evidence that she has ties with groups that fund terrorist organizations like Hamas. It’s only a matter of time until more information about these secret fundraisers come to light. And when that happens, it could very well be game over. Until then, Omar will almost certainly continue to make comments that enrage people and demonstrate how much contempt she holds for Jewish Americans.